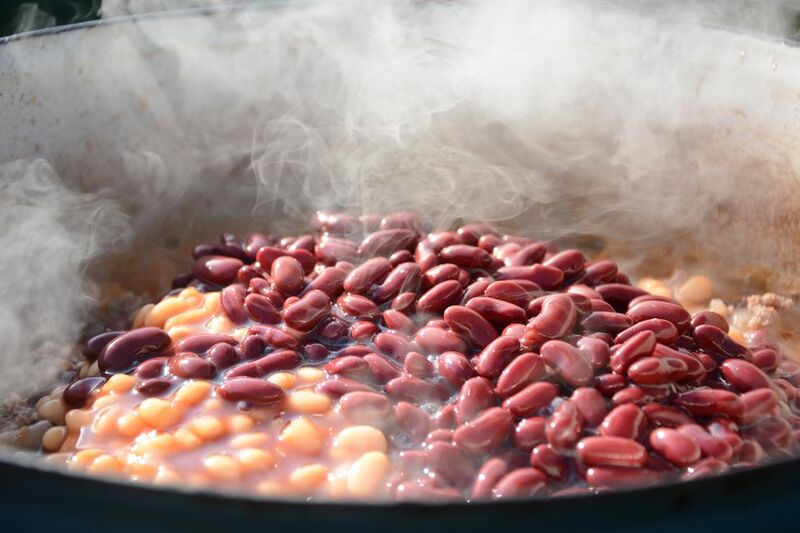 But, while canned beans are easy to cook—you just throw them in a pot and heat until they're warmed—it can be a challenge to know how long to cook dried beans. The U.S. Dried Bean Council has very specific recommendations. The following list is sectioned according to the type of bean, flavor, texture, and taste, and includes suggestions for cooking and pairing the beans with other foods and dishes. The creamiest of beans, the baby lima works well in soups, stews, and casseroles, or simply cook these beans by themselves flavoring them with herbs and spices of your choice. There is no one best kind of dish for the beans in this section, but large lima beans work well as a substitute for potatoes or rice, and they are excellent in soups and casseroles. Garbanzo beans are popular in Middle Eastern and Indian dishes, such as hummus, falafel, and curries, while black-eyed peas might go well in a stirfry with beef or in a turkey-and-bean salad. Black beans are prevalent in Southwestern dishes, such as soups, stews, and sauces, while kidney beans work well in chilis, salads, and when paired with rice. Navy beans are often used in pork and beans, baked beans, soups, and stews. They're also great when pureed. Pink beans are often used in chilis, and pinto beans are often used in refried beans, as well as Tex-Mex, and Mexican dishes. Great Northern beans take on the flavor of whatever food they are cooked with, so they do well in dishes such as pasta with beans and greens or sage-roasted pork tenderloin with beans. French cooks use them to make cassoulet, a white bean casserole. These are also the beans prepared in the U.S. as Boston baked beans. Flavor the beans to taste. Cover the beans and bring them to a boil. Cook the beans according to the times discussed previously. Salt the beans three-fourths of the way through cooking. Follow these steps, and you'll be eating a bean salad, a Tex-Mex dish with beans, a nice stew, or even a cassoulet before you know it. Is kaniwa the new quinoa?